SCRC is proud to be an official non profit association supporting the communities in which we live and work. Our Tax ID number for deduction if needed is 90-0716863. SCRC is committed to actively supporting our community through our charitable causes. The relocation community has so much to offer people in need and for 2017 SCRC is proud to partner with and support Working Wardrobes. In addition, each year SCRC allows its members to nominate a charity that they are involved with or that is close to their heart. The Board will vote on which Charity it will support and make a donation on SCRC's behalf. At the discretion of The Board, an annual charitable contribution up to $1,000 can be made to benefit an SCRC member’s preferred charity. 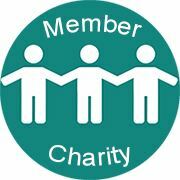 The member should provide the name of the charity, purpose/mission statement of the charity as well as the rationale for the request subject to applicable privacy laws. All requests are to be submitted to the Board by the President prior to October 1 of the current year, to be paid in the following year. Submissions will be reviewed at the next board meeting, and a check will be presented to the member at the following meeting. In the event that no member requests are received by October 1, the contribution for that period will be waived. A minimum waiting period of 2 calendar years should apply before a charity can be re-considered for subsequent donations. · That the individual nominating the charity is a member in good standing of SCRC. Please fill out the form and send to Derek Benson-Community Support:derek.benson@unionbank.com to apply. 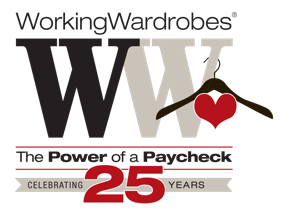 Working Wardrobes is an independent nonprofit organization, that strives to empower men, women, Veterans, and young adults overcoming difficult challenges to confidently enter the workforce and achieve self-sufficiency. They provide career training, job placement assistance, and professional wardrobe services in an environment of dignity and respect. Since 1990, Working Wardrobes has grown to serve nearly 80,000 men, women, Veterans, and young adults overcoming difficult challenges including; alcohol and substance abuse, prison re-entry, homelessness, catastrophic illness, and traumatic financial losses. Working Wardrobes serves CalWorks recipients, clients of social service agencies, and individuals in 60 shelters or programs in Orange County, Los Angeles, San Diego, and the Inland Empire. They offer career-readiness and image workshops, comprehensive Career Development Services, professional wardrobe and grooming services to increase their clients’ confidence and success in the workplace. Working Wardrobes’ social enterprise model serves as an example of self-sustainability to other organizations nationwide. To learn more about Working Wardrobes, click on the link below.